In a series of comments through the day, Bengal BJP chief Dilip Ghosh has called the leaders attending Saturday's rally "retired or tired or rejected in their own states who are now being projected in Kolkata." The mega rally being hosted by West Bengal Chief Minister Mamata Banerjee has been severely and predictably pilloried by the president of the BJP in the state. He also announced that the BJP would hold a rally at the Brigade Parade Ground on February 8 which would be attended by Prime Minister Narendra Modi. BJP president Amit Shah, he said, would also campaign in Bengal later this month once he recovers from ill health. "If this meeting was really significant, Rahul Gandhi would have come and not sent someone in his home state the Congress government is on the verge of collapsing," Mr Ghosh said. He was referring to Mallikarjun Kharge who till late this evening was managing Congress legislators in Karnataka and had not boarded a flight for Kolkata. 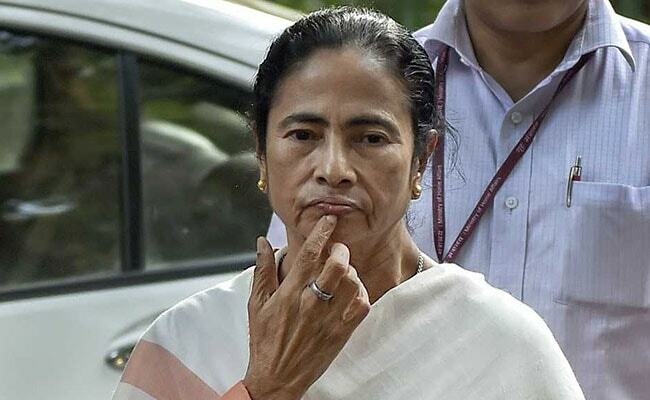 "Why has Mamata Banerjee hired such a tired army to make her way to New Delhi," Mr Ghosh said. "The whole rally will be a circus," the BJP state chief said, "and we are watching it with great interest. Besides the February 8 Brigade rally, PM Modi will hold rallies on January 28 and 31. Amit Shah will be in Bengal on January 22, 23 and 24. The CPM and the state Congress are also upset about Rahul Gandhi's message to Mamata Banerjee. Somen Mitra, Congress leader in Bengal, said, "Rahul Gandhi is backing the anti-BJP fight but has not said even once that we should not fight against the Trinamool." His discomfiture stems from several facts - the Trinamool has poached many Bengal Congress leaders, has said they will reduce Congress to a sign board, has allegedly attacked Congress workers and has not invited state Congress leaders to the rally. The CPM state sectary, Surya Kanta Mishra, said in a press statement, "Congress President Rahul Gandhi, in his message to the Chief Minister of West Bengal, has emphasised that "true nationalism and development can be defended on the tested pillars of democracy, social justice and secularism''. He is right. However our experience in West Bengal shows that the role of the ruling party in the state is utterly atrocious in all three counts. TMC has taken recourse to looting of votes in all stages of election- from panchayat-municipalities to Lok Sabha. Basic democratic rights of the people are endangered. "On question of communalism, BJP and TMC are supplementary to each other. Both the parties are destroying rich heritage of amity and unity of Bengal through competitive communalism... It is our considered opinion that democratic and secular forces should rally together against both BJP and TMC. It is necessary to save the country, to save Bengal."